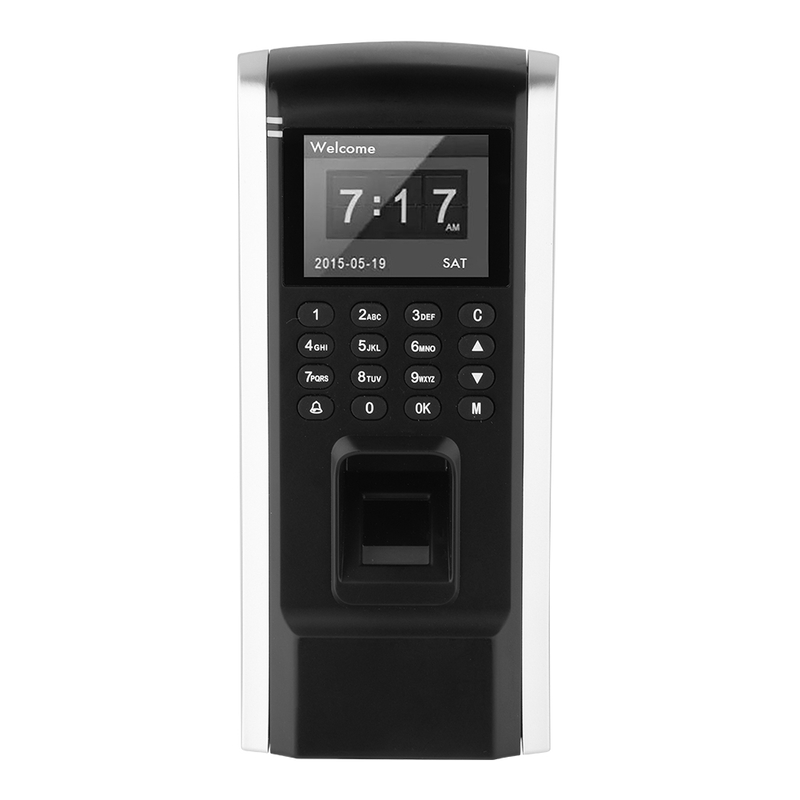 Biometric Fingerprint Access Controller Reader Finger Scanner Machine 2.4"
This item has 2.4-inch TFT color display, interactive interface, which is intuitive and clear.Built-in ID card sensor, validate freely by Card, fingerprint and MF card combination.Suitable for the entrances and exits of office, factory, hotel, school, etc. 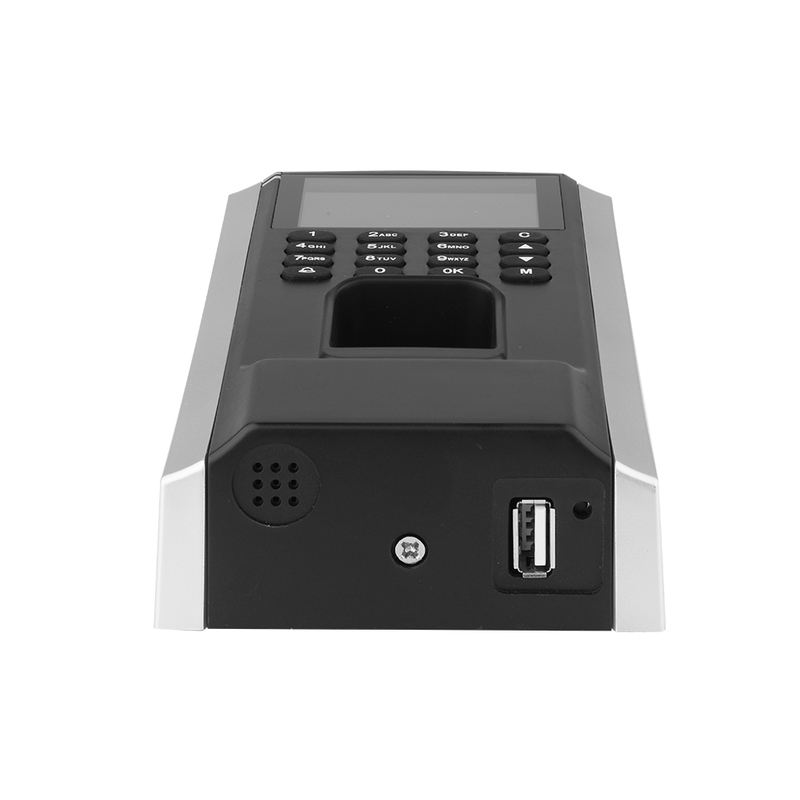 It can store 1800 fingerprints and 60,000 records. 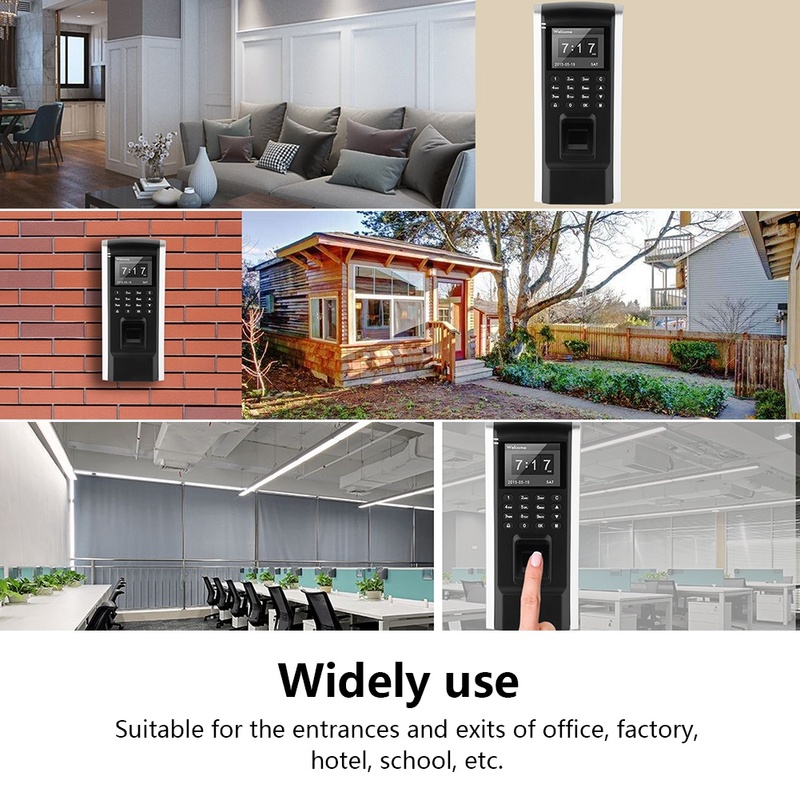 Why not have a look? 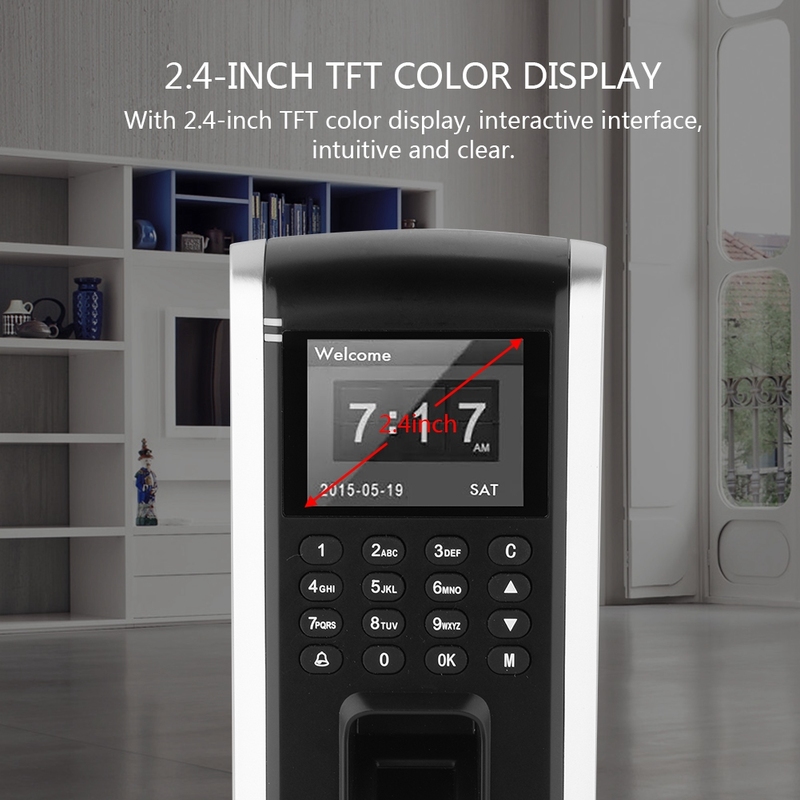 With 2.4-inch TFT color display, interactive interface, intuitive and clear. 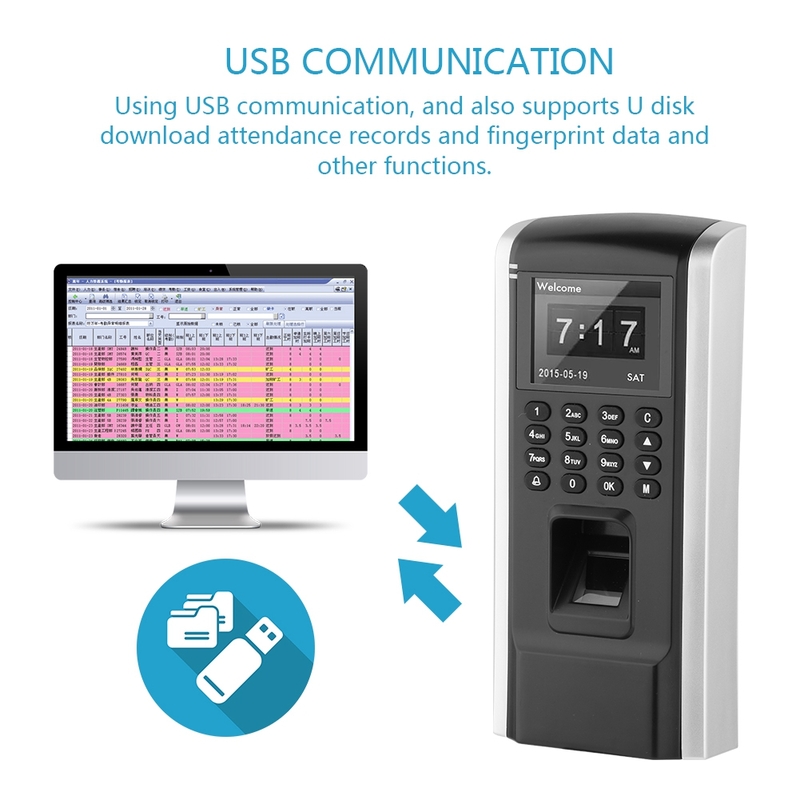 Using USB communication, and also supports U disk download attendance records and fingerprint data and other functions. 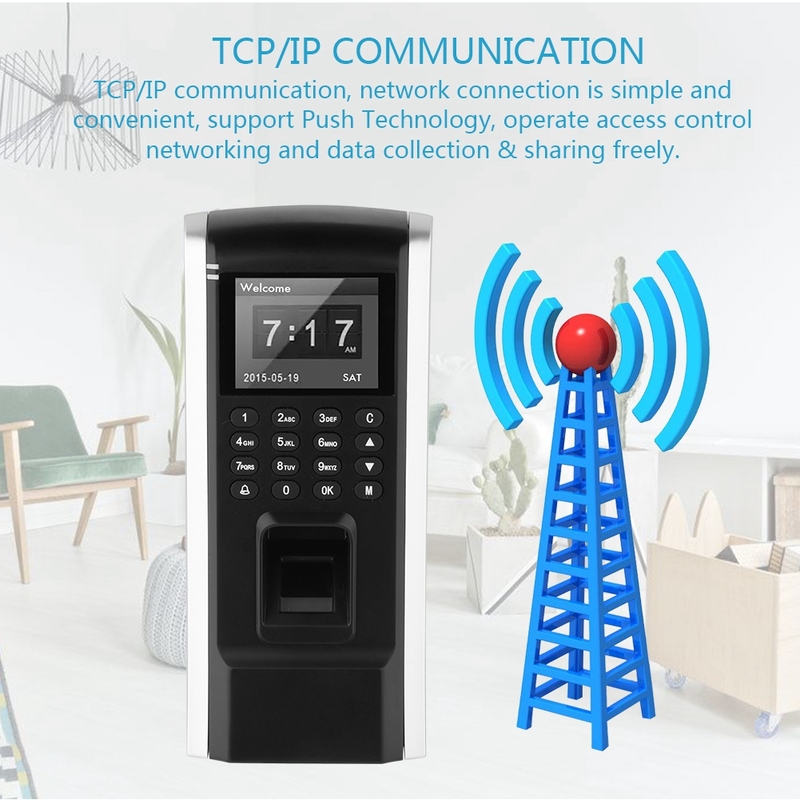 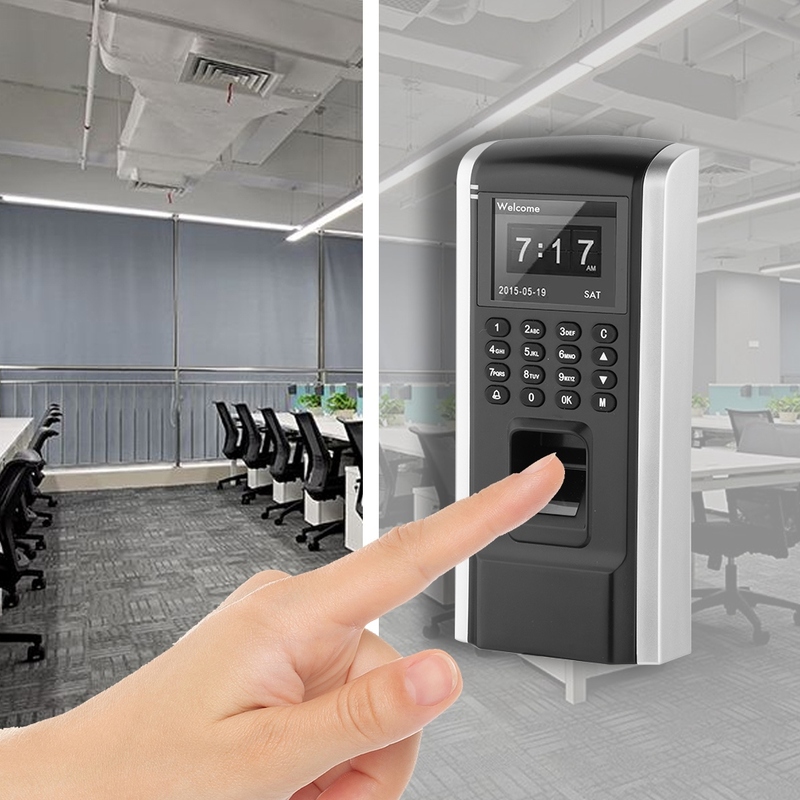 TCP/IP communication, network connection is simple and convenient, support Push Technology, operate access control networking and data collection & sharing freely. 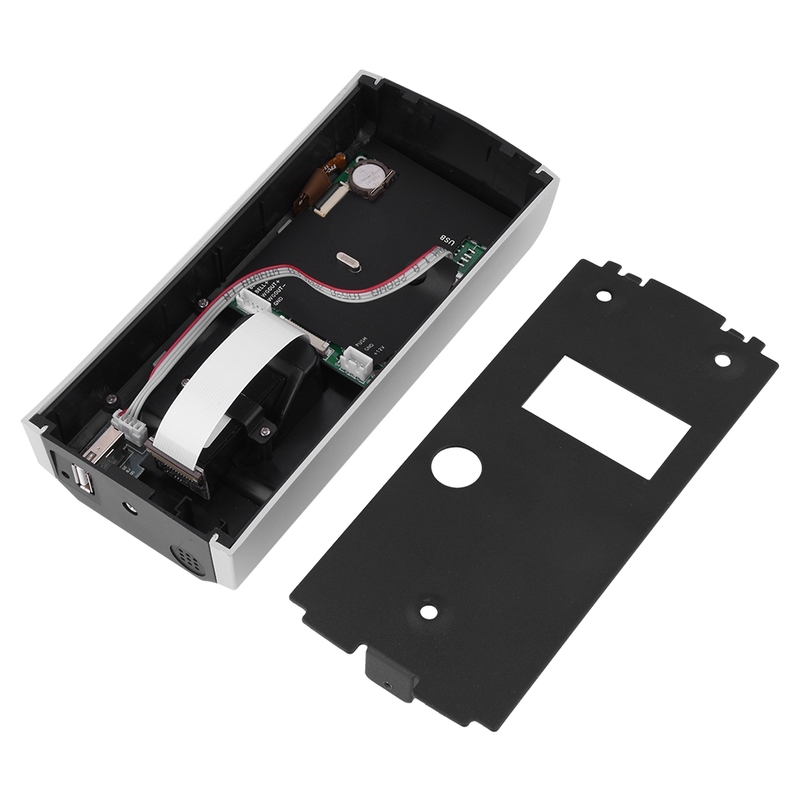 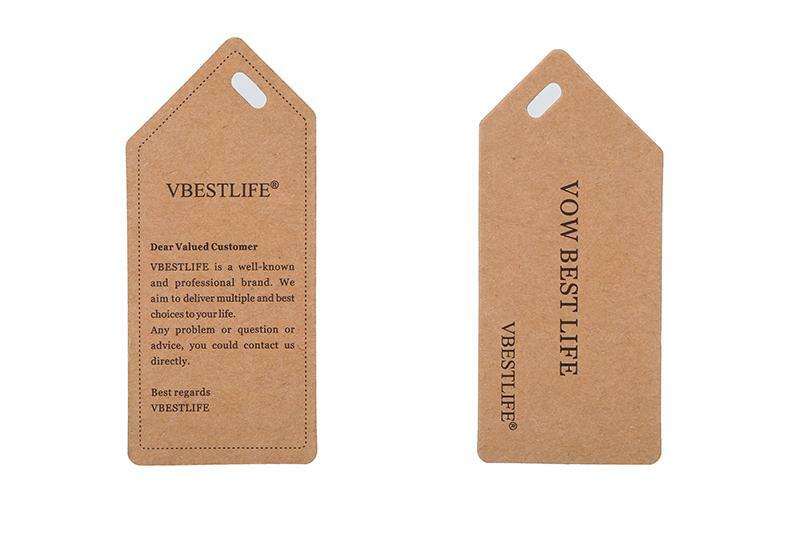 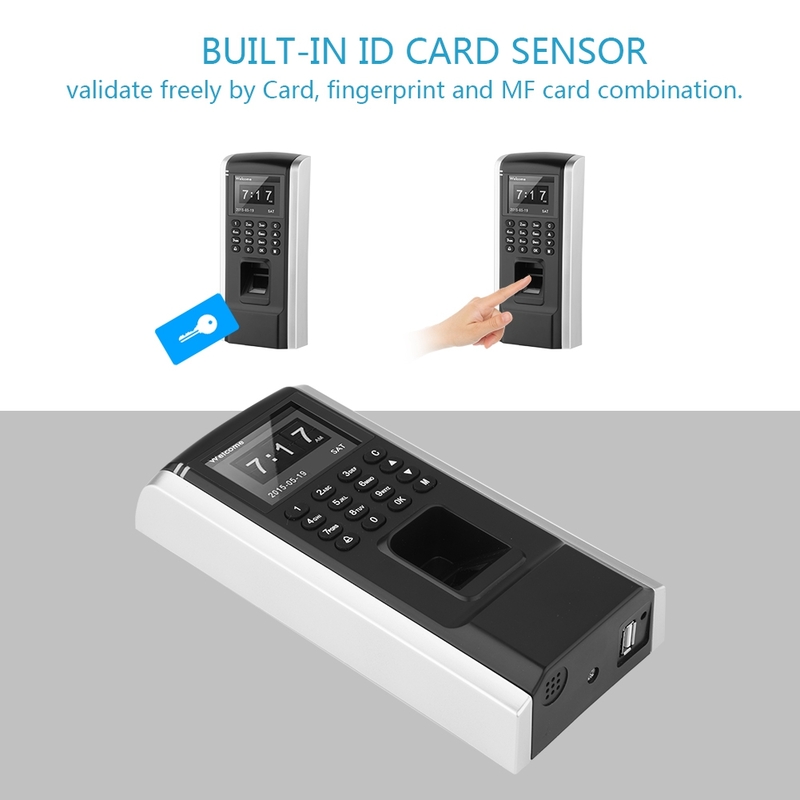 Built-in ID card sensor, validate freely by Card, fingerprint and MF card combination. 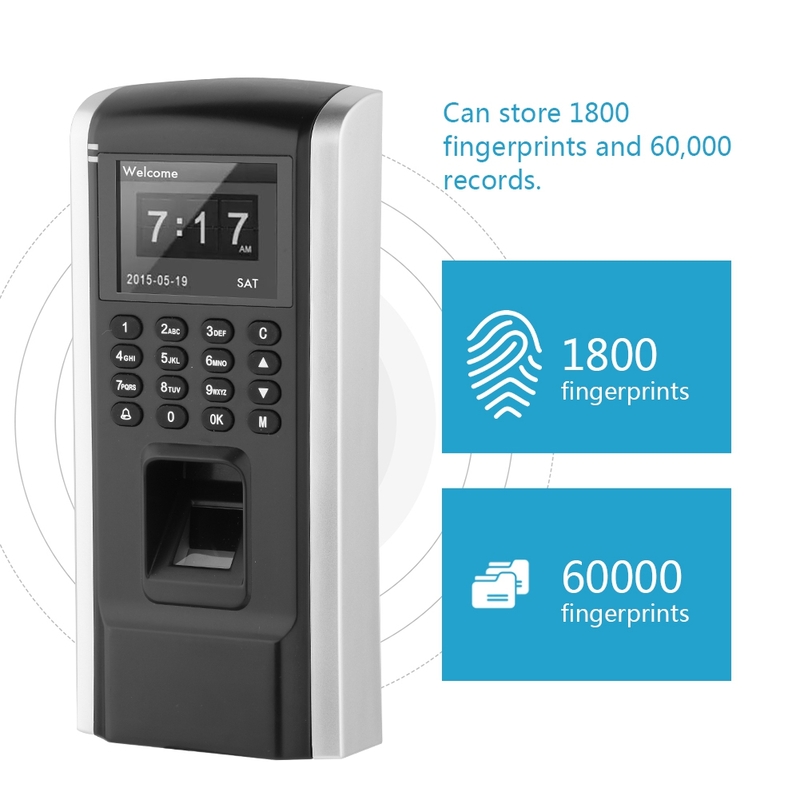 Can store 1800 fingerprints and 60,000 records. 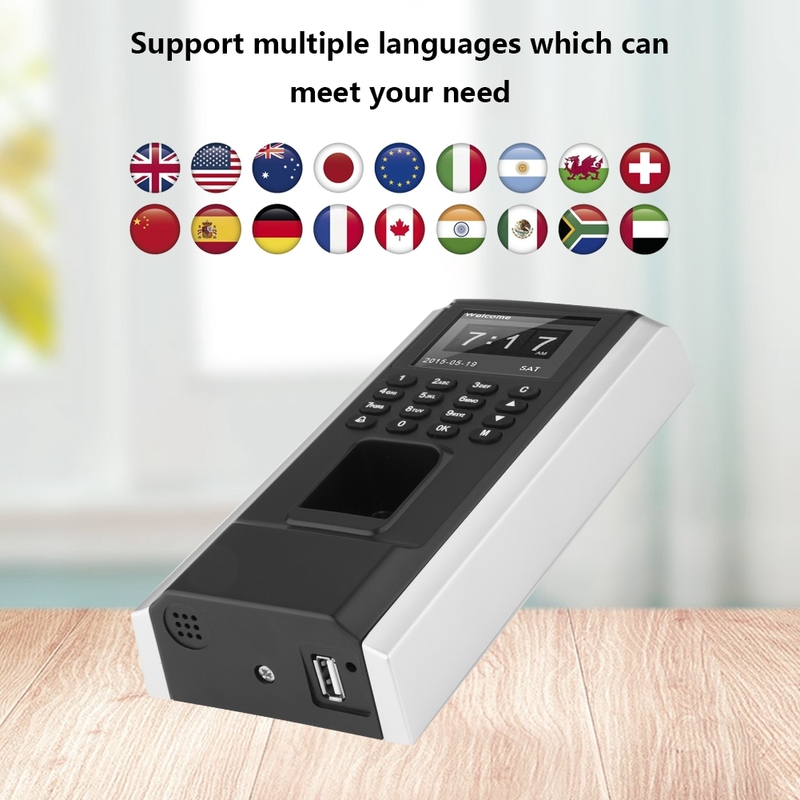 Support multiple languages which can meet your need.